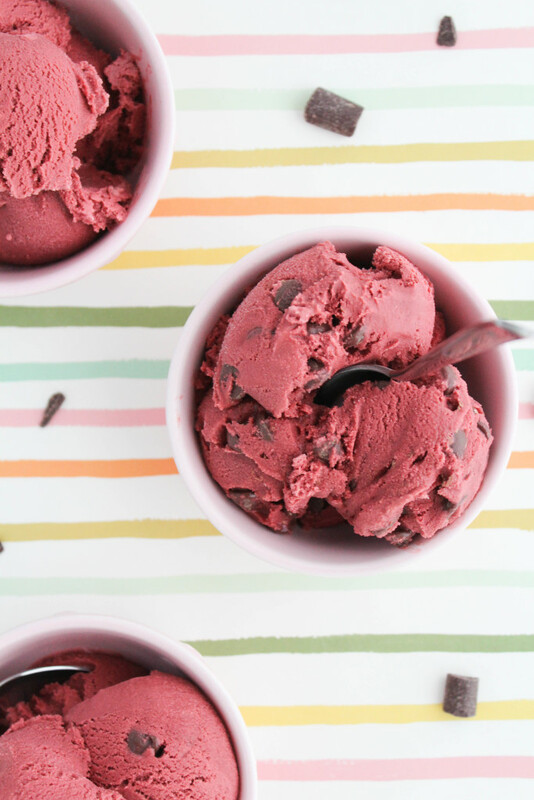 This ice cream is full of chocolate flavor and those little bites of chocolate chunks are the perfect sweet addition to this ice cream. 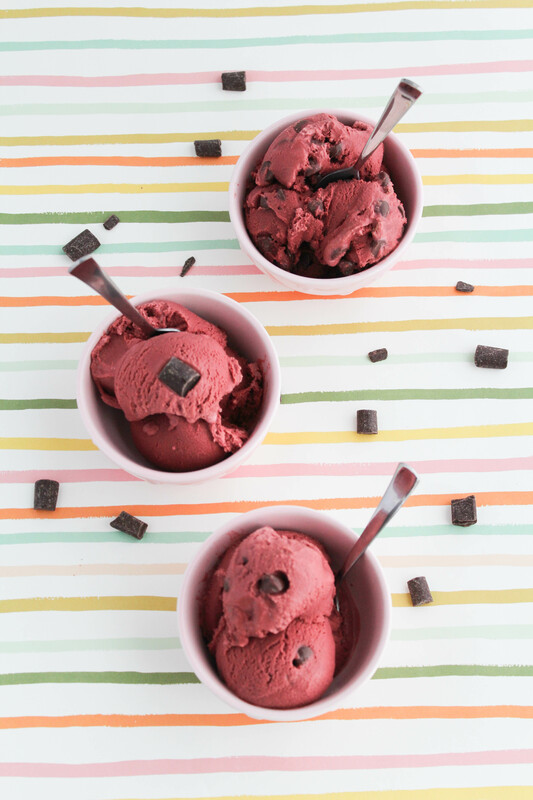 The bright red color also happens to be perfect to serve to your sweetie or the gals in your life on Valentine’s Day too! In a bowl, mix together the sugar, cocoa powder, and salt. Add the milk and heavy cream and mix together well. Add the food coloring and mix until well blended. Cover and refrigerate for 3-4 hours or overnight if you have time. (I chilled mine overnight). 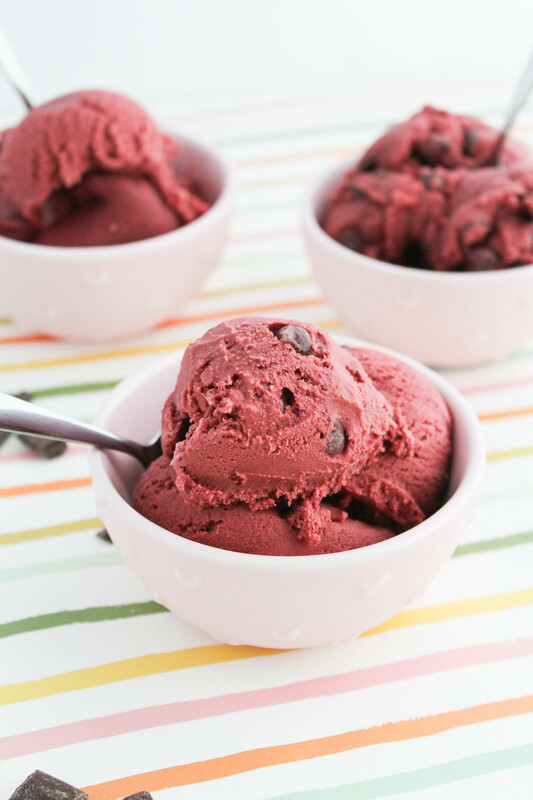 Once chilled well, mix into your ice cream maker, based on your specific brand’s instructions. 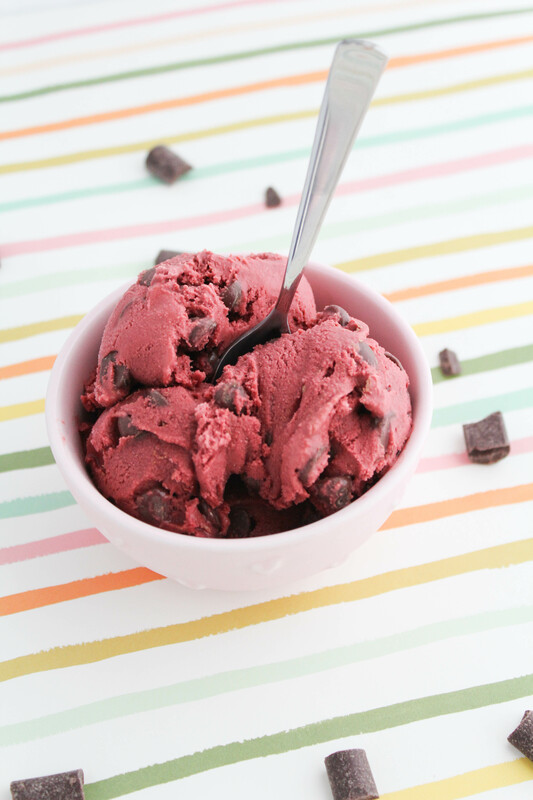 During the last 5 minutes of churning, slowly add your chocolate chips or chunks to your ice cream machine. 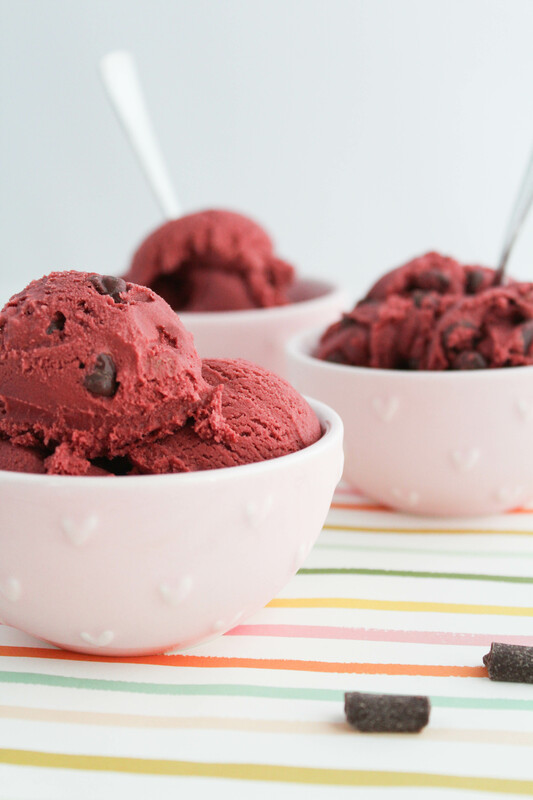 Red Velvet ice cream is delicious and soooo easy to make too! You can’t go wrong with added chocolate chunks either 😉 And, don’t worry. I won’t judge you if you decide to hoard the whole batch and stash it in the back of your freezer either.